For the second year in a row the K-12 Horizon Report included “Redesigning Learning Spaces” as a mid-term (3-4 year) emerging trend in education. Throughout western Pennsylvania I’m observing not only spaces like libraries take on new shapes and functions, but entire buildings designed for active learning. On November 7 I’ll join Justin Aglio, Director of K-4 Academic Achievement and K-12 Innovation, and Dr. Chris Stone, the superintendent of the Montour School District, at the Three Rivers Educational Technology Conference (TRETC), to share a framework for rethinking how to design learning spaces and an experiential activity for conference attendees to discover some of the elements in the new Montour K-4 Elementary School. Be welcoming – this includes the colors, furnishings, greenery, or adding a coffee bar with WiFi access. Be versatile – this goes beyond flexibility. It looks at how learning spaces can be reconfigured and rethought to meet needs over time. A versatile space may be an open commons area today, but it may become multiple classroom spaces in the future. Be supportive of varying and specific learning activities – spaces may have different designs based on what type of learning is desired. Collaborative learning requires tables and LED screens that allow for groups of learners to work together, whereas a research zone may have individual tables and no projection needs. Send positive images about activities and behavior – spaces need to showcase student learning. There may be exhibit spaces that have special lighting and sound to highlight student work. 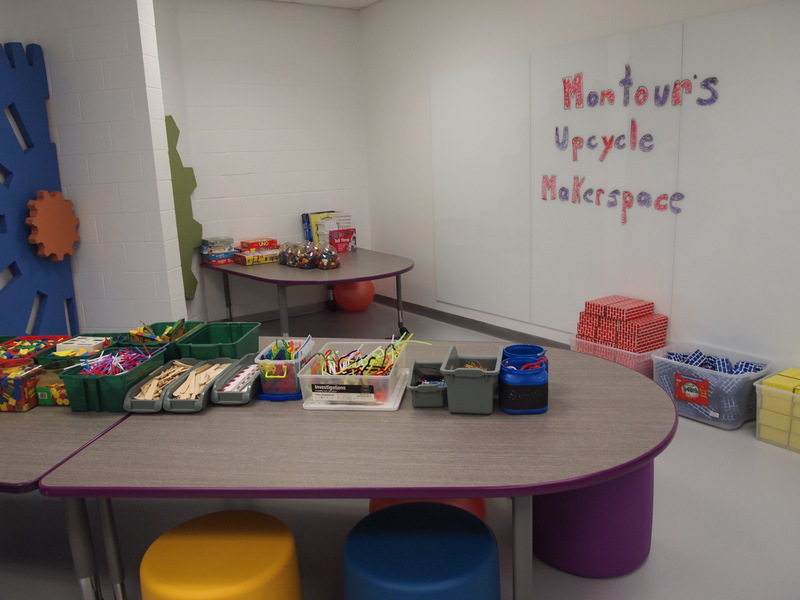 Montour’s new K-4 Elementary School is a great example of the transformation in thinking about the use of space as part of the learning experience. The entrance makes a strong statement welcoming parents, community members, as well as the student population. Every space provides a learning opportunity. Learners in the hallway, in the Minecraft Learning Lab, or in a flexible Maker Spaces are active investigators working collaboratively or on personal projects using design thinking infused with easily accessible technology. Every classroom has a variety of furniture options to meet the needs of different student learning. The gymnasium provides not only a home for sport activities, but becomes a an open learning space. For TRETC it’s the center for vendor exhibits and for the opening and closing sessions. Throughout the building student work is prominently presented.